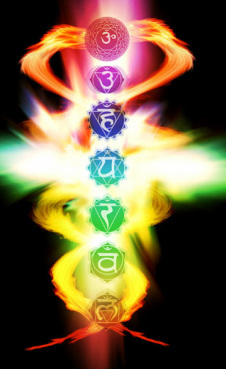 Reiki (pronounced Ray-Key) is a Japanese holistic, light-touch, energy-based healing modality. It establishes a normal energy flow of Ki within the body, healing at all levels - physical, emotional, mental & spiritual. Through a series of hand positions the energy worker allows for the flow of energy through their body. The clients body then draws off the amount of energy that is required. Reiki is simple and provides measurable results. In essence, it is power, light and love. Below are examples of how Reiki can benefit your every day living environment. Each person experiences Reiki in their own individual way, so it is important to be open to more than what is listed here. Each experience differs from person to person and also between different sessions. The energy will flow wherever it is required and can normally be felt in the form of heat, cold, a breeze, tingling, prickling, denseness, buzzing, pressure or magnetism. You may have a "floating" feeling or an awareness of other energy forms in the room. It is also possible to experience different emotions, or thoughts you had forgotten might pop up. Some people receive insight on how to solve problems. Remember that all healing starts with a process of releasing, which means your condition could potentially worsen until you overcome the crisis of healing, this could come in the form of emotions or even toxins in your body that you need to get rid of. After your Reiki session, you may notice over the next little while that you are detoxifying the waste that has built up in your system. You should increase your water/and or herbal tea intake so the toxins are flushed out more readily. You may also want to rest more, so allow time for that. Most people start to feel an immediate improvement in their level of pain. Energy and alertness increase daily and a feeling of overall well being may be noticed. For Reiki to be most effective, the client should be open minded and willing to take responsibility to alter negative life patterns or issues to create their own healing. Some people only require 1 or 2 sessions while others need quite a few before the noticing anything. For Chronic pain or to remove entrenched blocks in your energy system 3 - 4 sessions are recommended over a 10 -14 day period, then continued once a week or every two weeks until your issue has resolved. long standing health issues are usual cleared up in 5 - 6 visits.